The holiday season is coming to a close as we inch closer and closer to the end of 2013. Hopefully the end of this year has brought you happiness with loved ones over the holidays. The holidays bring added variables to the road like icy weather, extra congestion,alcohol, and an influx of drivers who are not used to the area. These unusual driving conditions can lead to more accidents than in other parts of the year. Although we have hurdled most of the holiday season, New Years just around the corner. Ringing in the New Year with champagne is something of a tradition, but it is important not to drink and drive! Not only could you cause an accident and kill or seriously injure yourself or another person, you could also get pulled over, in which case you would go to jail. This year, South Carolina is implementing its Sober or Slammer campaign which means a hard crack down on drunk driving. The Sober or Slammer campaign implores sober drivers to call *HP if they see a potential drunk driver, and a police officer is supposed to respond immediately. This program leaves little to no wiggle room for drivers to get behind the wheel drunk because now all sober eyes will be on you. 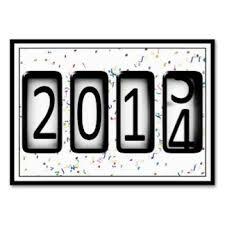 We at Bill Green and Associates wish you the most happiness and safety as we close out 2013 and ring in 2014. But, if you or someone you love is injured an a car accident, or any type of accident due to someone else’s negligence, call us. We will fight hard to get you everything you deserve.